If you’ve only got time for 7 days at Disney World, don’t worry. You can pack a lot into a week at Disney and still have plenty of time to rest as well. 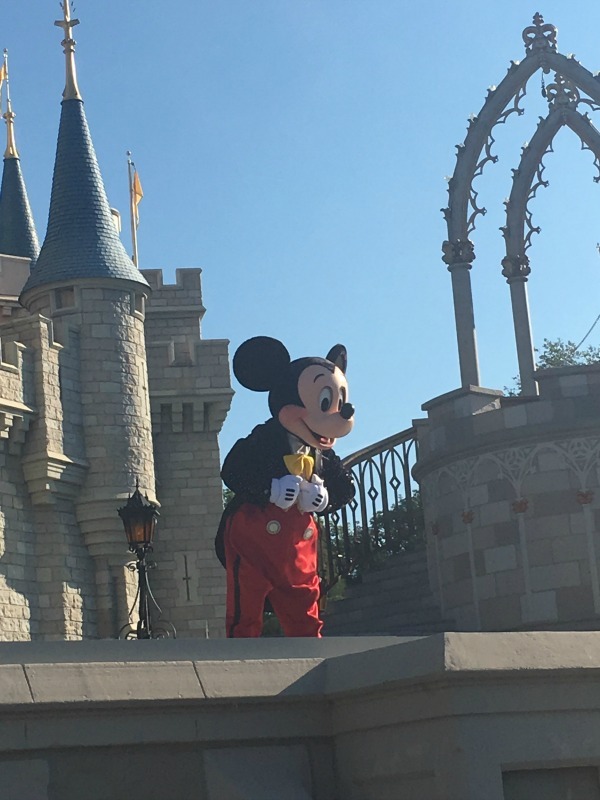 Given the choice of being able to visit more frequently, I would definitely take 7 days at Disney World over having to wait longer to be able to stay longer. My 7 day Disney World itinerary would go like this. 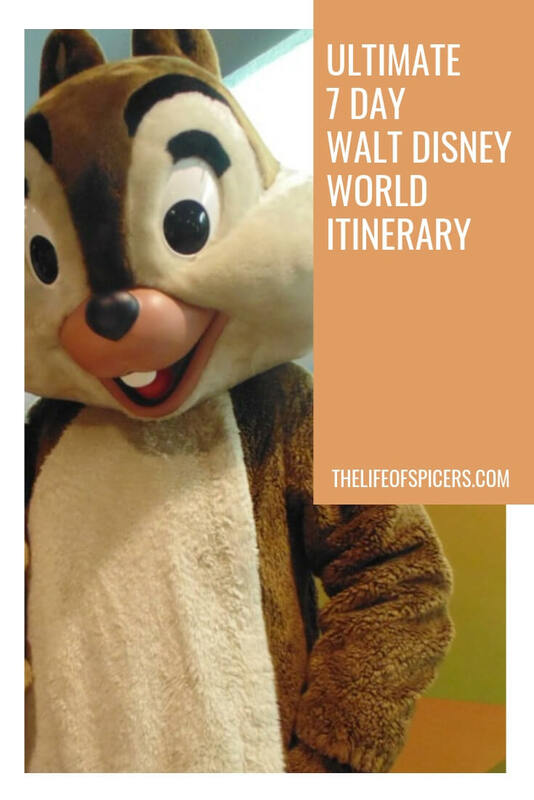 With 4 Disney theme parks and 2 Disney water parks, there is time to visit them all in our 7 days at Disney World and still have to to revisit your favourites. 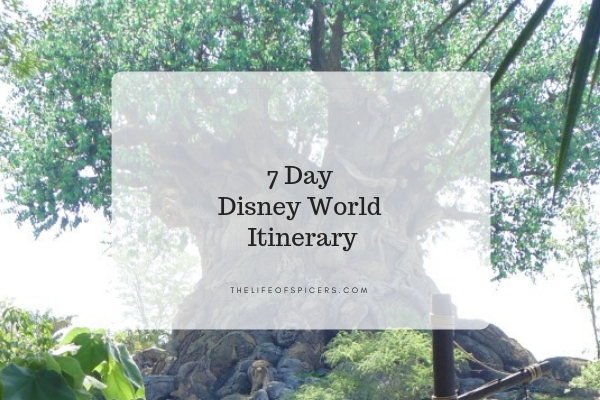 The key to the perfect 7 day Disney World itinerary is to make the most of your planning to ensure you rest as well. It’s tradition for us to visit Magic Kingdom on our first day. As it’s the first day and usually everyone is awake early at the beginning of the holiday, aim to arrive for rope drop. If it happens to be extra magic hours at Magic Kingdom then decide if you want to be extra early to take advantage. Arriving at Magic Kingdom for rope drop means you can spend some time on Main Street, taking advantage of the short lines for those all important photos in front of the castle. This is perfect if you have Memory Maker included in your park tickets. There is plenty you can achieve in a morning at Magic Kingdom with some planning. Utilise your Fastpasses for those popular rides such as Space Mountain, Seven Dwarfs Mine Train, Peter Pan’s Flight, Pirates of the Caribbean and Big Thunder Mountain. After a busy morning it’s the perfect time for a rest for a few hours before heading back out again in the evening. I would suggest a few hours at Animal Kingdom to see Pandora lit up at night. Check through the day for any last minute bonus Fastpasses that may become available for Flight of Passage or Navi River Journey after you have used your first three in Magic Kingdom. I would suggest the morning in Hollywood Studios on your second day at Disney World. Toy Story Land would be my first stop having hopefully secured a Fastpass for Slinky Dog Dash. Arriving early, the standby line will be shorter for Toy Story Mania and Alien Swirling Saucers. Moving away from Toy Story Land, I would utilise the other two Fastpass choices for Tower of Terror, Rock n Roller Coaster, or perhaps Star Tours. A nice break from the sun and a way to rest your feet would be to visit the Beauty and the Beast Live on Stage. This is a great show that is a must see for us every time, however a Fastpass isn’t necessary. Rest in the afternoon for a few hours before heading out to Epcot for the evening. 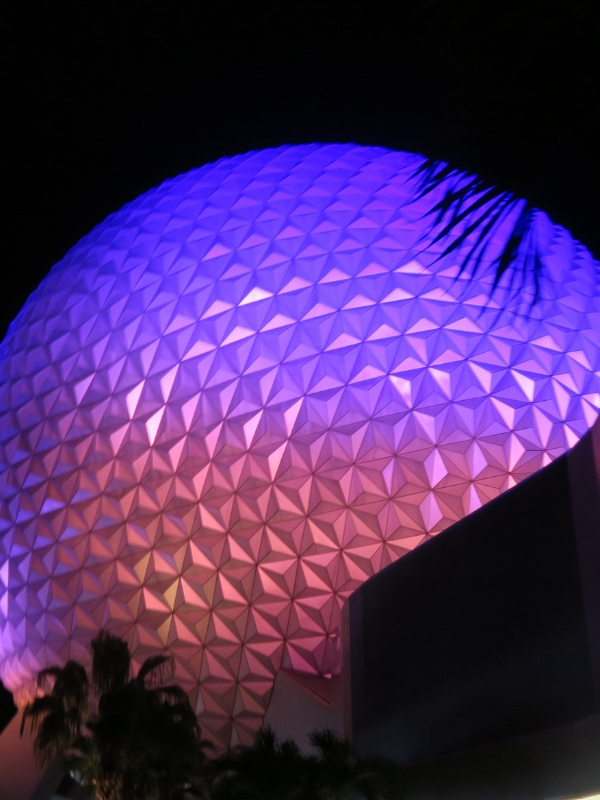 Check for Fastpasses that may become available after using your first three again, but an evening at Epcot is a great time to walk around the World Showcase before watching Illuminations. On day 3 of your 7 days at Disney World, I would suggest a visit to one of the water parks. We always seem to visit Typhoon Lagoon first, but this is also a good way to incorporate a visit to Disney Springs into your 7 day Disney World itinerary. If you’re using Disney transport, then the busses from the Disney World resorts will stop at Disney Springs, for you to get your connecting bus to Disney Springs. Enjoy a lovely few hours at Typhoon Lagoon before a spot of shopping at Disney Springs on the way back to your resort to rest and freshen up. 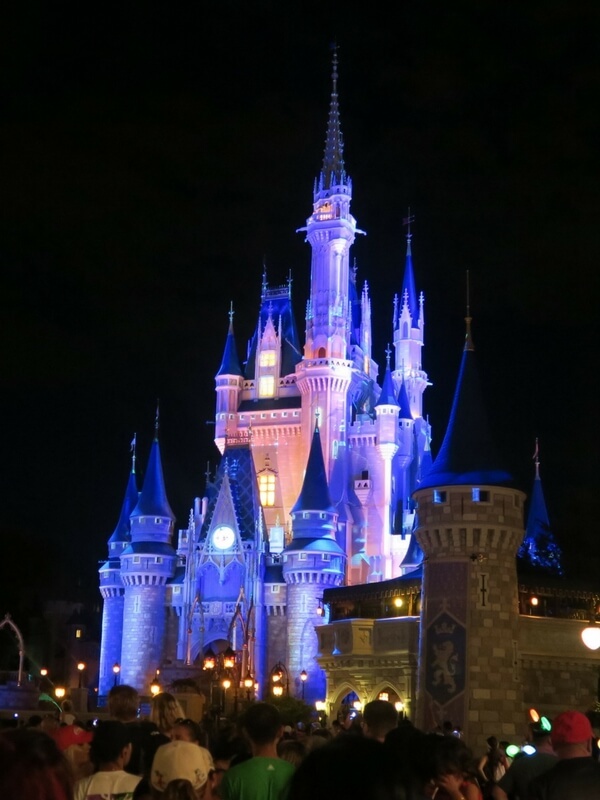 An evening at Magic Kingdom is a great way to finish off day 3 as you can experience the rides in the dark and also watch Happily Ever After Magic Kingdom fireworks at the end of the evening. Plan your Fatpasses today for the evening at Magic Kingdom and you will be able to ride some of the more popular rides. Around this point in the holiday you probably aren’t waking up quite so early as your body clock starts to adjust. A day at Animal Kingdom is a good idea for day 4. Plan your Fastpasses for Flight of Passage, Expedition Everest or Navi River Journey, keeping in mind that you can only secure one of the Pandora rides at a time according to Animal Kingdom Fastpass tiers. Animal Kingdom is a big park and your probably won’t see it all in one day. In four trips to Disney World and numerous visits to Animal Kingdom, we still haven’t seen it all. 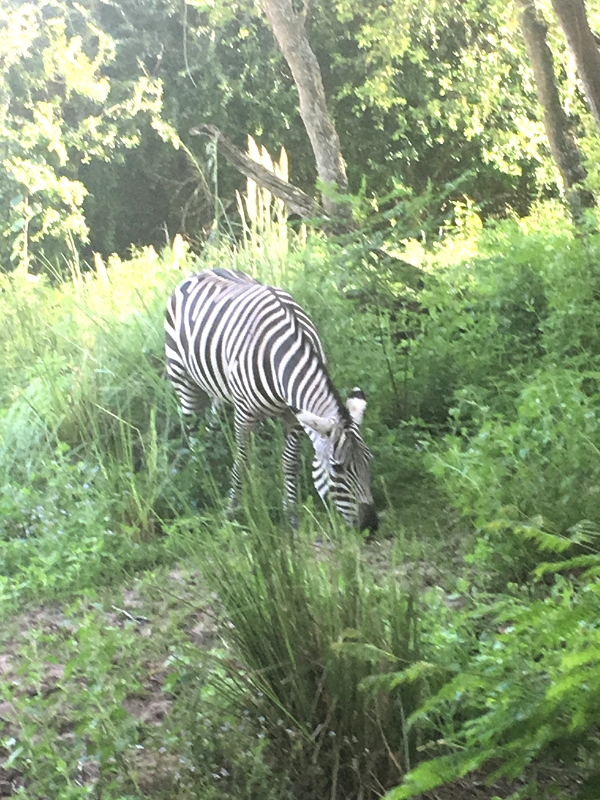 There is so much to see and do in Animal Kingdom, some of my favourites include Kilimanjaro Safaris and the Lion King show. Lunch at Rainforest Cafe is always a hit with us. After some rest in the afternoon, I would suggest an evening at Hollywood Studios to revisit some of the attractions you didn’t get a chance to do on your first visit. A good end to the evening is a visit to Fantasmic, where a Fastpass isn’t necessary, however if one pops up then use it. A lie in is called for on day 5 with a late start to visit Epcot. I find the lines are longer for Test Track and Frozen Ever After than they are for Soarin’, so I would secure a Fastpass for one of those and use the standby line for Soarin’. 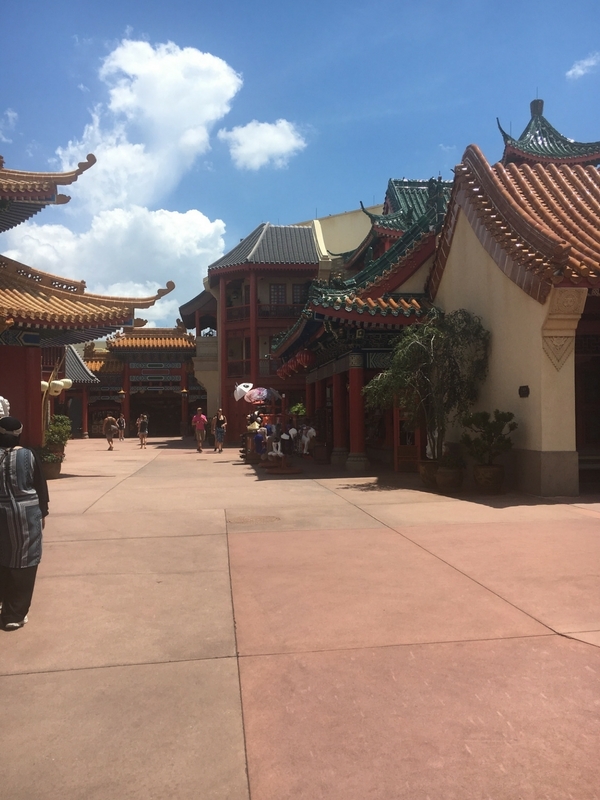 Lovely wander around the World Showcase with perhaps a meal in one of the amazing restaurants on offer. We have eaten at Via Napoli, and Garden Grill and thoroughly enjoyed both of them. An early night is probably welcome on Day 5 of your 7 days at Disney World as you may be starting to get more tired. By day 6 we have visited every Disney World park twice, and seen the night-time shows. At this point in a 7 day Disney World itinerary, it’s the free day to revisit everything you haven’t had a chance to see and do before. It’s also a great day to enjoy a character meal when you’re not struggling to fit everything else in. For us this is usually a visit to Magic Kingdom to perhaps see the Festival Of Fantasy parade, and maybe tour some of the Disney resorts using the Monorail. Day 7 is the last full day for your 7 days at Disney World. After a packed week, everyone is probably tired and maybe there are some sore feet happening? The perfect excuse to visit the other Disney water park, so it’s off to Blizzard Beach today. A relaxing day lazing about on the lazy river, or perhaps braving Summit Plummit. 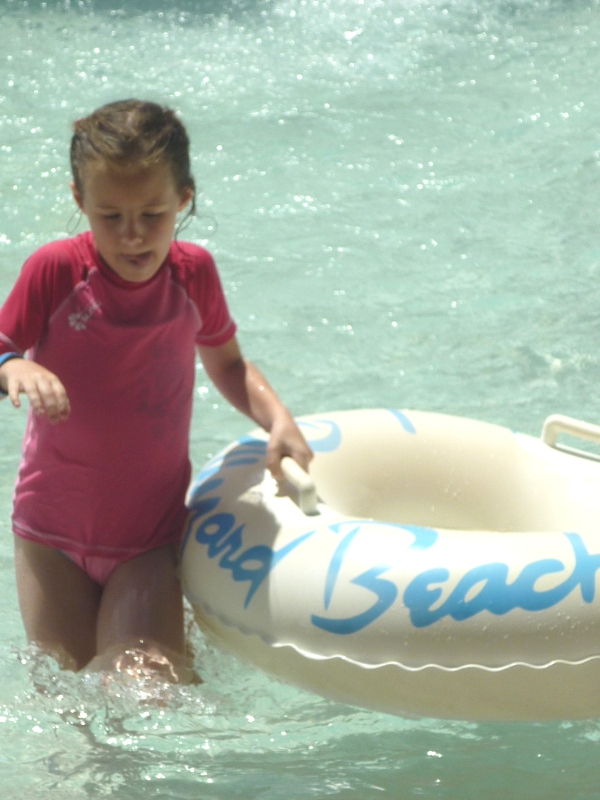 We all enjoy different Blizzard Beach rides and it’s guaranteed to be a great day. For the last evening at Disney World, we like to book a special meal, for example at Ohana at Disney’s Polynesian Village resort. After our meal, it’s the perfect time to watch Happily Ever After fireworks for one last time from the Polynesian Beach. There’s your 7 day Disney World Itinerary. 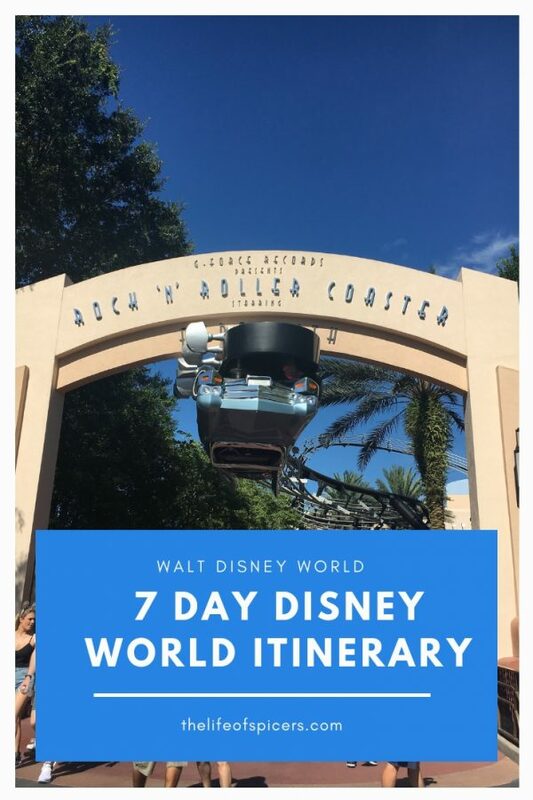 I hope this has shown you that only having 7 days at Disney World is possible and you can still have a great time and see almost everything you want to see.